A lake in the middle of the desert, 33 years in the making. 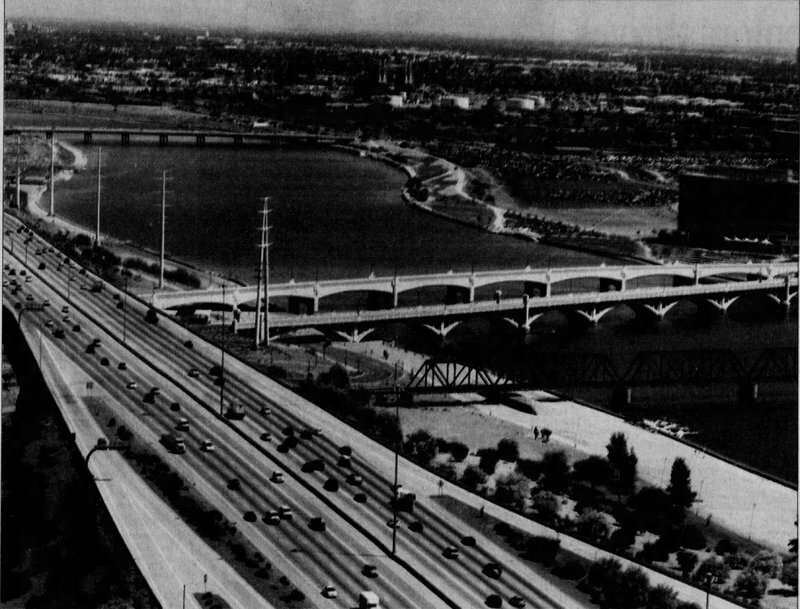 The creation of the Tempe Town Lake began as an exercise by James Elmore, dean of the College of Architecture at Arizona State University, for his students in 1966. He assigned his students to recapture the Salt River Channel. Not only was the dry river bed not aesthetically pleasing, but throughout the 1950's, 1960's, and 1970's, the desolate river bed was also being used as a landfill. Also, throughout the 1970's and 1980's there was widespread flooding in the Salt River area which damaged bridges and property and was even causing injury and death to some of the locals. Due to these damages, the residents saw a greater need for the Rio Salado flood-control plan which included the insertion of a lake in the area. In 1987 there was a property tax increase on the ballot to fund the lake project county wide; it did not pass. Maricopa County as a whole decided they did not want to fund the $2.56 billion Rio Salado Project. 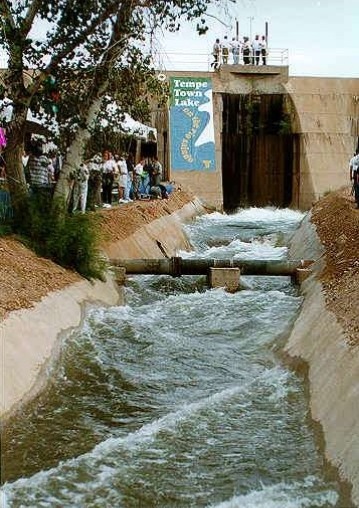 Instead, just the City of Tempe decided to move forward with the project to develop its own section of the Salt River. 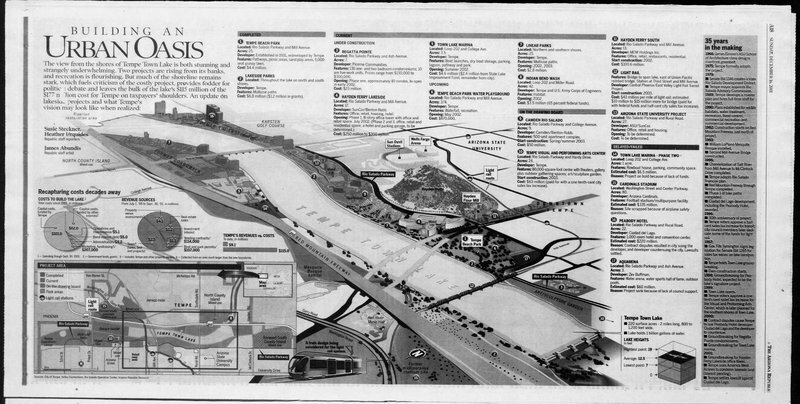 In 1989 Tempe had begun work on the Rio Salado Master Plan. There was a lot of coordination with federal agencies’ and studies began of water quality and water usage in the area. Maricopa County Flood Control and Arizona Department of Transportation ended up mainly funding the project, spending roughly $40 million to channel the river bed. 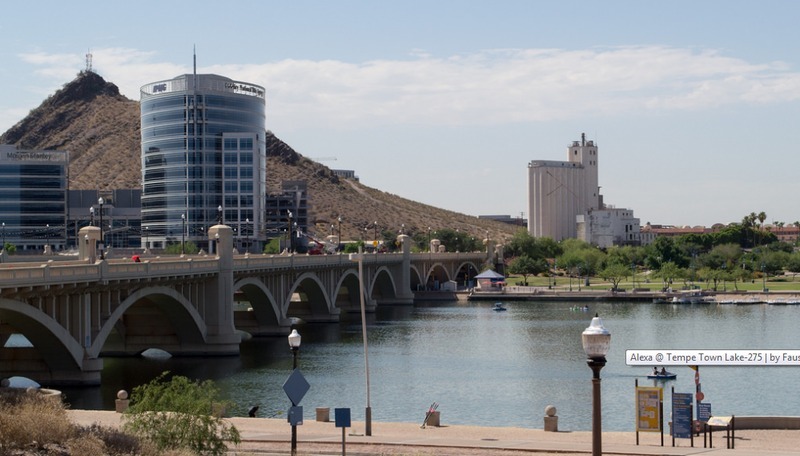 The City of Tempe mainly took on the costs of the Town Lake, however, using mostly bonds to pay the $45 million for the construction of the lake. After years of planning and debate, the official construction of the Lake began on August 8, 1997. The Tempe Town Lake began filling up on June 2, 1999 with water from the Central Arizona Project which is delivered to the Valley from the Colorado River through a series of various canals. 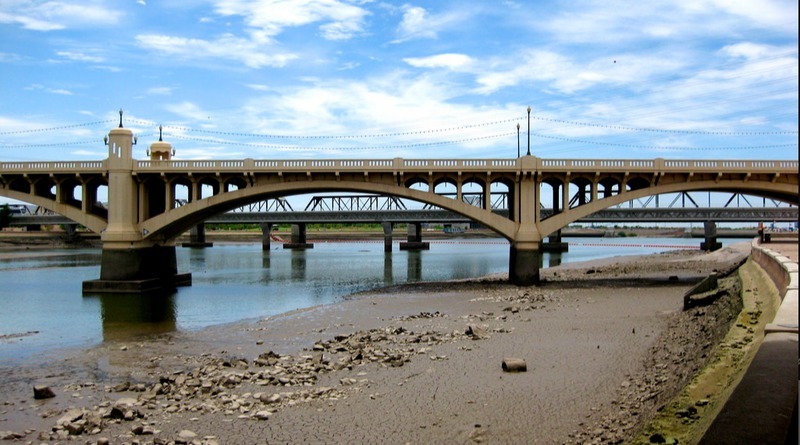 After 33 years in development, the Tempe Town Lake was officially filled up on July 14, 1999. On November 6, 1999, 35,000 people attended the Tempe Town Lake Festival which introduced the new Tempe Town Lake and renovated Tempe Beach Park. The lake was officially opened to the public on November, 7, 1999. The lake ended up having 220 surface acres, is about 2 miles long and roughly 800-1,200 feet wide. The Tempe Town Lake is much more than just an aesthetic piece of the town. Some other reasons for the creation of the Town Lake are flood control, recreation/leisure, and for economic reasons as well. Economically, the lake would later attract economic development in the form of Hayden Ferry Lakeside which brought business and revenue into the Town Lake area. Many more projects would end up popping up around the lake in the coming years including: a Town Lake Marina constructed in 2002, a water playground also in 2002, and the Tempe Center for the Arts opened up off the shore of the lake in 2007. Overall, roughly $1.5 billion is invested in and around the Tempe Town Lake. The Town Lake has also become somewhat of a tourist attraction, drawing in nearly 2.4 million people each year. Having a man-made lake in the middle of the desert does have its complications though. Since the lakes completion in 1999, the Tempe Town Lake has had to be refilled a total of three times. The first time being in 1999 when the lake was originally filled. The second time it was refilled was in 2010 when the rubber bladder dam burst and all of the water drained out, and a third time in 2015 when it was purposely drained in order to put in a new dam. In 2010, engineers realized that the rubber bladder dams which were supposed to last 30 years were actually deteriorating due to too much exposure from the sunlight. This resulted in the City of Tempe replacing the Tempe Lake West Dam with a steel gate system. This two year construction plan costed 46 million dollars and residents and officials alike are hopeful that that will be the last time the Tempe Town Lake needs to be refilled. 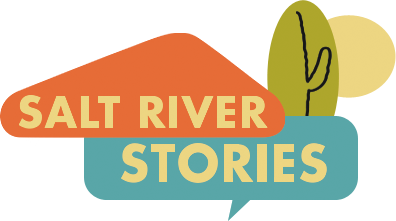 Shannon Maki, “Creation of the Tempe Town Lake ,” Salt River Stories, accessed April 22, 2019, https://saltriverstories.org/items/show/223.